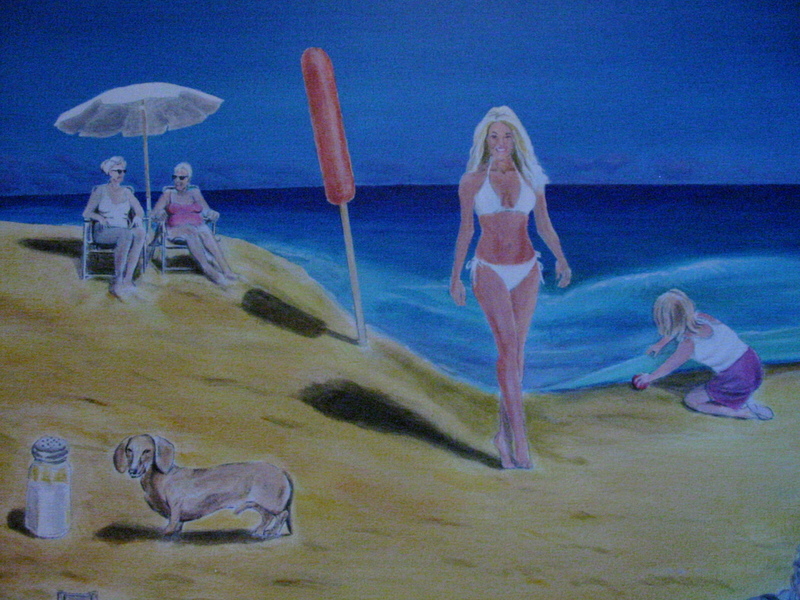 This is a wild painting featuring a variety of scenes including a little girl lifting the ocean to get her ball- the ocean turning into a giant wave and then becoming a green pasture with a wild hog running on it. 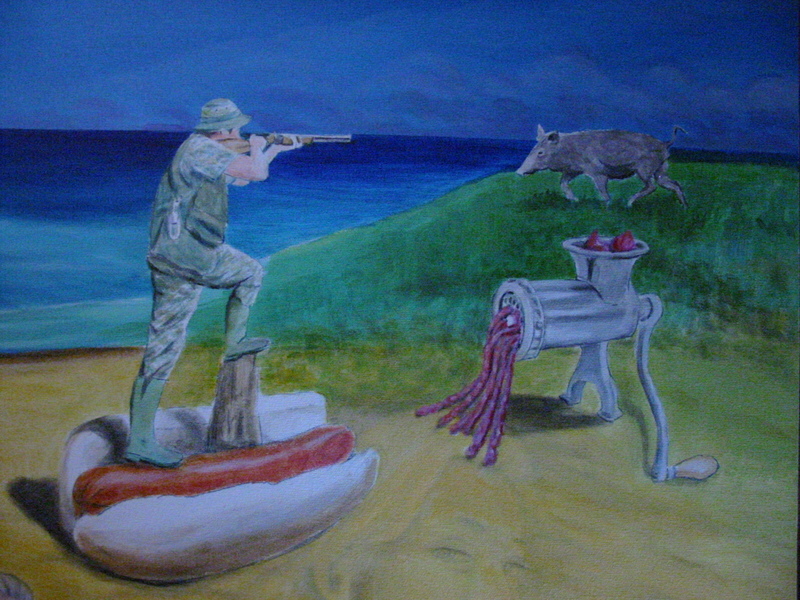 A hunter standing on a giant hot dog and lifting his gun, has a finger on his trigger and is eyeing the hog. Two old maids are sitting in the sand...each one is wishing the other was a man. 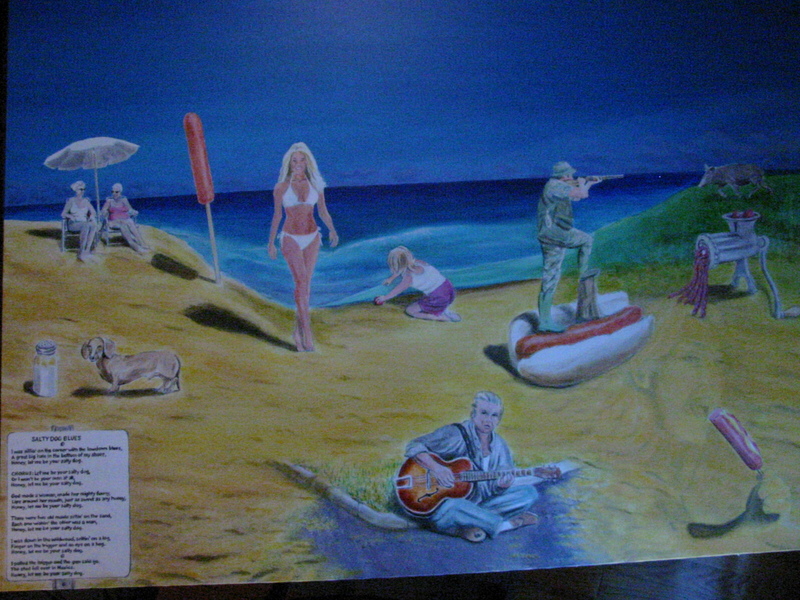 It also features cameos of Miss California and Mel Gibson as well a hog running above a meat grinder! What did I leave out??? Watch out for the meat grinder Mr. Hog! 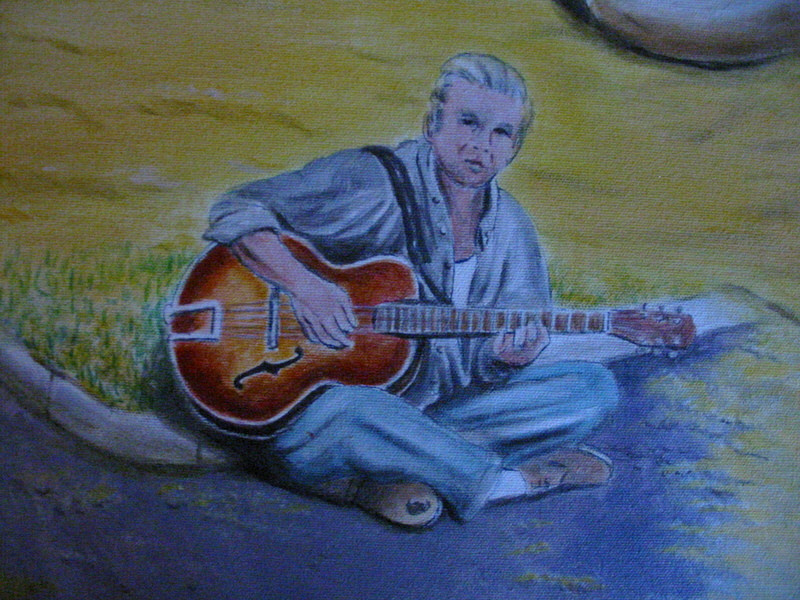 Sitting on the corner with the lowdown blues. Great big hole in the bottom of my shoes!